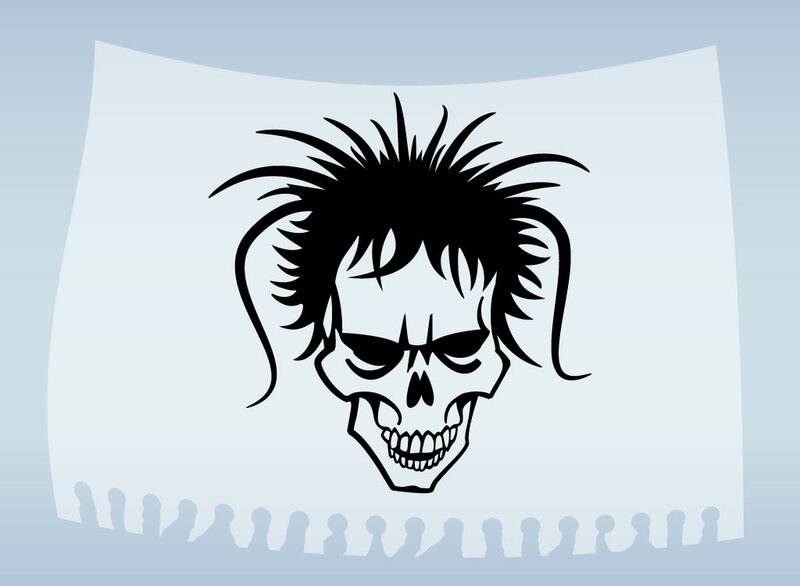 This punk rock style skull is hand drawn and a must have for your graphics collection. A perfect tattoo design, tee shirt, poster or collage element. Skulls are highly useful for a designer so download this design as an AI and PDF for your use. Tags: Cool, Drawing, Fantasy, Punk, Rock, Scary, Skeleton, Skull, Urban, Wicked.